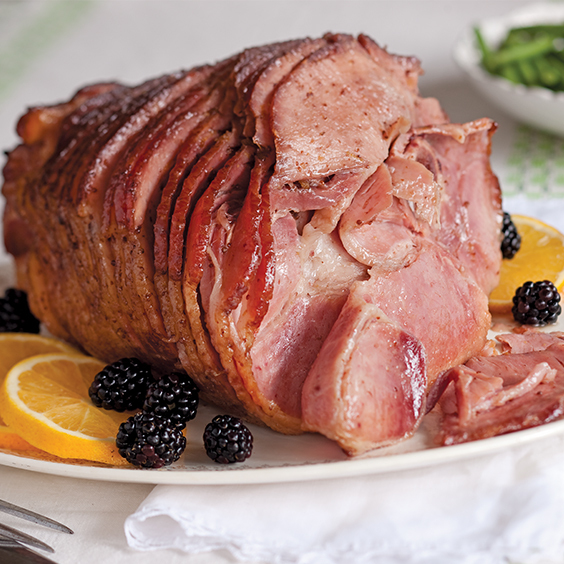 Add this scrumptious Spiral Ham with Maple-Blackberry Glaze to your Easter Sunday menu. 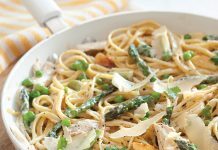 It’s easy to make and everyone will come back for a second helping of this tasty main. Preheat oven to 325°. Line a broiler pan with aluminum foil. In a saucepan, whisk together maple syrup, preserves, mustard, orange zest, and orange juice. 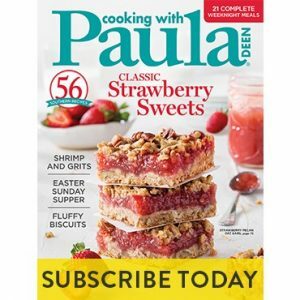 Cook over medium-low heat, whisking occasionally, for 4 to 5 minutes or until preserves melt. Remove from heat. Place ham, cut side down, on prepared pan, and cover loosely with foil. Bake for 1 hour. Uncover and brush glaze over ham. Bake for 30 minutes longer, basting every 10 minutes, or until a meat thermometer registers 140°. Let stand for 10 minutes before slicing. Garnish with blackberries and orange slices, if desired.